‘Allah Veh’ is a song about breaking the barriers of religion and boundaries, and uniting through the common thread of humanity and love. 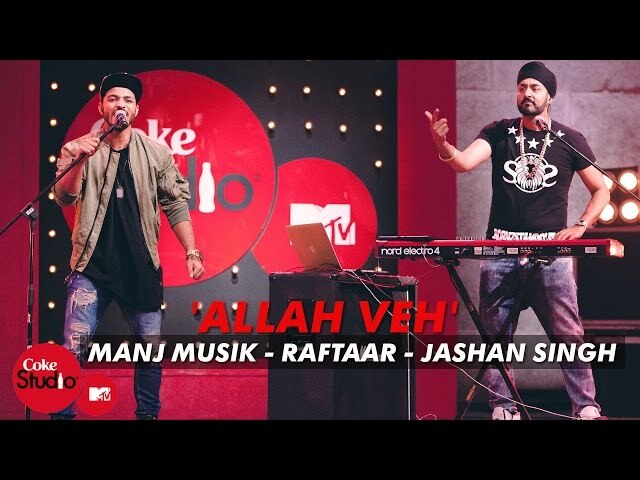 A Sufi-style poem, ‘Allah Veh’ has been beautifully reinterpreted by Manjeet Singh Ral, a.k.a Manj Musik, with surprising elements, such as rap by Raftaar. With soulful vocals by Jashn Singh, ‘Allah Veh’ has found the perfect harmony of traditional poetry and contemporary musical elements, making it relatable to people from all generations. In an interview to Journey India, Manj Musik talks about what the song means to him, breaking barriers and his emotional journey with music thus far. Journey Staff: What do the lyrics of the song ‘Allah Ve’ mean to you? Manj Musik: The lyrics penned by Sunny Brown and Big Dhillon have come out amazing. I have to say, the first time I heard the lyrics they was mesmerizing- so deep! To be honest, the lyrics just hit the spot with the music perfectly. ‘Allah Ve’ is a song about belief in love, God as the almighty who empowers love, and how we can love each other. Journey Staff: The song talks about freedom, what does freedom mean to you? Manj Musik: Freedom takes multiple forms- being free from barriers to compose and sing what you feel, and freedom from war and hate which in today’s world seems to be the priority in peoples’ lives. We all need to be free to do, say and love together regardless of any race, colour religion of any sort. That is when we can all be truly free. Journey Staff: You have worked on multiple projects, how was ‘Allah Ve’ different than the rest? Manj Musik: This was a special project to my heart as it was my first ever live full Coke Studio session for television and the internet. I chose this song as it relates to what I believe in and wanted to fuse the live Coke Studio sounds with some electronic sounds. Journey Staff: Take us through your creative process, be it understanding the lyrics of this song to composing it. Manj Musik: Well it started from composing the song along with my brother in Canada, Sunny Brown. I think from the get go we knew this song was going to turn out to be a monster. Lyrically, all we had was ‘Allah Veh’ but slowly the rest of the lyrics fell into place. I think it was due to the nature of the music that the song was so interesting- from composing to having live instruments. I also wanted to add some electronic synths and some vocal layers. I wanted it to be a journey from the start to the end with Raftaar in the middle, poetically telling a story - which he delivered incredibly. Journey Staff: What were some of your challenges while composing this song? Manj Musik: The main challenge was to not have a Sufi-sounding composition sound like it has been forced into a modern world. The layering of the vocals and soft start to a grand finale really kept it in the light I wanted. Journey Staff: Was it difficult to adapt a Sufi-style poem into a song? What were some of the factors you had to be mindful of? Manj Musik: The hard part is to not disrespect a Sufi melody and chord pattern by chunking it with live beats- especially electronic sounds. That was the hardest part but I think I managed to direct it perfectly keeping a great balance. Journey Staff: What were some of your thoughts while bringing on board the vocalists and other musical artists associated with the song? Manj Musik: Well to begin with, I had to find the right voice. I felt that by singing such a song myself, I would not do justice to the composition and originally thought maybe Rahat could sing. But the way Jashan sang it was perfection. His voice is so melodic with amazing bass notes, which really gave the song a ‘full range’ feel. Adding my vocals at the end and in the middle as high notes was to keep the flavour of a harmonic melody. The instruments we used were not many, and were subtly added into the song to uplift the music. Journey Staff: What made you add an element of rap into this song? Journey Staff: What was it like working with Raftaar on this song? How was he instrumental to the song? Manj Musik: Raftaar was great, he hit the nail on the head lyrically and delivery wise. Having him on the song uplifts the song to another level as from the melody you can hear a ‘poetic rap’ and that’s never been done before. Journey Staff: How was Jashan Singh instrumental to the song? What were thoughts while bringing him on board? Manj Musik: His voice was the key. He has such a beautiful melodic voice with the richness I was looking for. He is the core reason the composition works so well. Journey Staff: The song has very serious and powerful lyrics, what were some of the emotions you went through while producing this song? Manj Musik: I think emotionally we were all on the same page. From the start with me and Sunny to the hook to the verses and then to the rap. We all wanted to keep the song emotional and about our love for God and how we can all become better persons. With Raftaar adding his final touches lyrically, it was a piece of art. Journey Staff: What was your favorite part of the whole process? Manj Musik: Definitely making the music with the band. My first experience with the boys, adding the live elements – it was all a lot of fun. I love hearing what another musician can bring to the table! Journey Staff: How does it feel to have your compositions evolve from idea to reality? 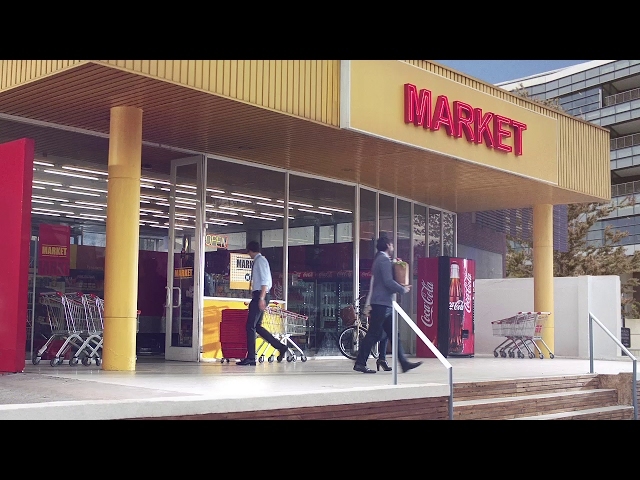 Manj Musik: It feels amazing. But this goes for every song I’ve ever made. Even from ‘Swag Mere Desire,’ which was a totally differently styled track. I have all the crazy ideas in the world, and when they become real, the fans speak for themselves. Journey Staff: What is the kind of music which gets you excited? What kind of music do you want to be able to work on? Manj Musik: Every type of music to be honest. I’m listening to a lot of European music at the moment just to bring a different feel to my songs, especially Spanish music. Journey Staff: What did you want your audience to take away from this song? Manj Musik: Just a good feeling of positivity. Life is about being good and staying positive! All I wanted was for people to take away positivity from this song, and the feedback so far says it all. Journey Staff: In what way does music bring people together? Manj Musik: At every level, music is like the oxygen in the air that people take for granted. We can move people with music, hurt, love, make someone happy or sad- it’s all within the power of music! Journey Staff: What are some of the musical barriers you have surpassed? Manj Musik: (smiles) I think I’ve done pretty much everything I’ve always wanted to. Like working in Bollywood, working with mainstream artists from the United States, working on Sufi songs, working with music legends. But I still feel as though I can deliver something which nobody else can with my musical power. I’m always up for challenges and I challenge myself every day for more and newer ways of moving people with my music! Journey Staff: What are you working on next? Manj Musik: My album Punjabi Billboard is coming out featuring a host of Punjabi artists. I’ve made my version of what authentic Punjabi music should be like - (smiles) I hope people enjoy it! Along with that, I have more mainstream stuff with Fat Joe & DJ Khaled. Also, launching new artists is my passion. Raftaar was the first artist I launched and what a success he has been! Giving a platform to new latent is all they need and Raftaar was a talent I knew would fly. Now it’s time for more new artists to be brought to the forefront, and I will continue to do my bit God bless new talent!